A customer smokes an electronic cigarette at Vape New York, a dedicated vaporized nicotine retailer in New York City. More steam for the anti-vaping movement: A French consumer magazine, National Consumer Institute, reported Monday that e-cigarettes contain “a significant quantity of carcinogenic molecules” in their vapor that have so far gone undetected. E-cigarettes, those battery-powered devices you see people puffing indoors, use heat to vaporize liquid nicotine, but contain no tobacco and produce no smoke, and thus evade anti-smoking regulation. Using a new method of testing, researchers found that in three out of the ten e-cigs studied, the level of formaldehyde, a known carcinogen, came close to the amount in conventional cigarettes. Furthermore, a highly toxic molecule called acrolein was detected “sometimes at levels even higher than in traditional cigarettes,” said Thomas Laurenceau, chief editor of the magazine. “This is not a reason to ban them, but to place them under better control,” he said. Laurencea’s sentiment has been echoed by vaping skeptics across the pond, where the U.S. Food and Drug Administration is chewing on a set of possible regulations due out this fall, including a ban of online sales to prevent sales to minors and limits on advertising. Meanwhile, Michael Bloomberg, New York City’s health-conscious mayor, is considering a plan that, among other things, would outlaw e-cig flavors like bubble gum that seem designed to attract youngsters. The problem, say e-cig’s detractors, is that without more long-term studies and tests, we don’t know if they’re the safe alternative to regular cigarettes that their proponents claim they are. “[T]he prohibitionists are taking on e-cigarettes because… because… because… smoking tobacco is bad for you. And they don’t think you should decide how to live your life,” he says. The idea is that e-cigs can’t be as bad as regular cigarettes. And if regulators get too rule-happy, they might prevent real smokers from becoming faux smokers. “Allowing anti-smoking ideology to dictate e-cig legislation would condemn smokers to using ineffective quitting strategies or dying premature, tar-sodden deaths, but evidence-based regulation that prioritizes public health would cause a revolution in tobacco harm reduction,” says Lindsay Fox, an e-cigarette advocate, at The New York Times. While the debate rages on, the e-cigarette industry is gaining momentum. The market is expected to reach $1 billion this year, and analysts say sales could top $10 billion in the next five years. Without regulation, the e-cigarette business could outgrow the cigarette business by2047. via Do e-cigarettes cause cancer? – The Week. Selling cigarettes in unbranded packs seems to make tobacco less appealing and encourages smokers to quit, suggests a study. The work comes from Australia – the first country to introduce plain packaging. 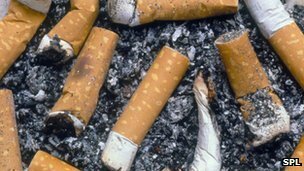 The BMJ Open research looked at the impact of the policy on 536 smokers in the state of Victoria. 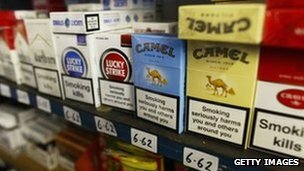 The findings come days after ministers were criticised for putting on hold a plan to impose plain packs in England. Downing Street denied the Tories’ election strategist, Lynton Crosby, had been responsible for the delay to plain packaging. Mr Crosby’s links with alcohol and tobacco companies have been called into question by some MPs. Defending the decision to delay, Health Secretary Jeremy Hunt said the government wanted more time to see how the policy had worked in Australia. The BMJ Open study gives an early indication of precisely this. Researchers polled a sample of smokers during November 2012 when plain packs were already available in the run up to the country-wide introduction of the legislation. Almost three out of four (72.3%) were smoking cigarettes from plain packs while the remainder (27.7%) were still using branded packs with smaller health warnings. Compared with branded pack smokers, smokers using plain packs were 66% more likely to think their cigarettes were poorer quality than a year ago and they were 70% more likely to say they found them less satisfying. They were also 81% more likely to have thought about quitting at least once a day during the previous week. And plain pack smokers were 51% more likely to back the plain pack policy than were brand pack smokers. Simon Clark, director of the smokers’ group Forest, said the study offered “no credible evidence” to suggest that plain packaging will reduce smoking rates. “The research, which was carried out in November 2012, before plain packaging was introduced, is based on highly subjective responses to questions about the perceived quality of cigarettes and the satisfaction consumers derive from smoking cigarettes sold in standard packs. She said ministers should “stop stalling” and introduce standardised packs in the UK as soon as possible, adding that 85% of the British public wanted government action to reduce the number of children who smoke. A Department of Health spokeswoman said: “We take very seriously the potential for standardised packaging to reduce smoking rates, but in light of the differing views, we have decided to wait until the emerging impact of the decision in Australia can be measured, and then we will make a decision in England. via BBC News – Plain cigarette packs ‘encourage smokers to quit’. Will cigarette makers jump into pot market? The states of Washington and Colorado legalised possession of small amounts of marijuana in the November elections, but it is unclear if any cigarette makers plan to supply either market. Marijuana remains illegal under federal law. President Barack Obama indicated last week that going after individual users won’t be a priority, but there is no firm indication yet what action the Justice Department might take against states or businesses that participate in the nascent pot market, which has the potential to be large. For example analysts have estimated that a legal pot market could bring Washington state hundreds of millions of dollars a year in new tax revenue for schools, health care and basic government functions. Bill Phelps, a spokesman for Philip Morris USA, maker of Marlboro, based in Richmond, Virginia, was vague when asked about the future intentions of the nation’s largest tobacco company. Less mysterious was Bryan Hatchell, a spokesman for the second-largest cigarette maker, Reynolds American Inc, maker of Camel and Pall Mall, among many others. But if major tobacco companies are not going to supply the new markets, it appears there are some ready to step in. The Washington State Liquor Control Board is in the process of collecting applications from people who want to be certified to be able to grow pot legally. Agency spokesman Brian Smith said Tuesday that some applications so far have come from people who have long been growing marijuana when it was against state law. Indoor growing operations appear to be the most productive and secure for marijuana, Smith said. “But we could have outdoor grows in eastern Washington,” he said. Since no state had previously legalised marijuana possession, Washington must invent a production system from the ground up, Smith said. Colorado did have a licensed system for growing medical marijuana, but that was very tightly regulated and probably more stringent than Washington needs, Smith said. “We don’t need to get to the level of oversight Colorado has in medical marijuana,” he said. Washington’s new law decriminalises possession of up to an ounce of pot for people over 21. But selling marijuana remains illegal for now. The initiative gave the state a year to come up with a system of state-licensed growers, processors and retail stores, with the marijuana taxed 25 percent at each stage. In Colorado, a 24-member task force began work on pot regulations this week. The state’s Department of Revenue must adopt the regulations by July, with sales possible by year’s end. Time for a ban on cigarette sales? 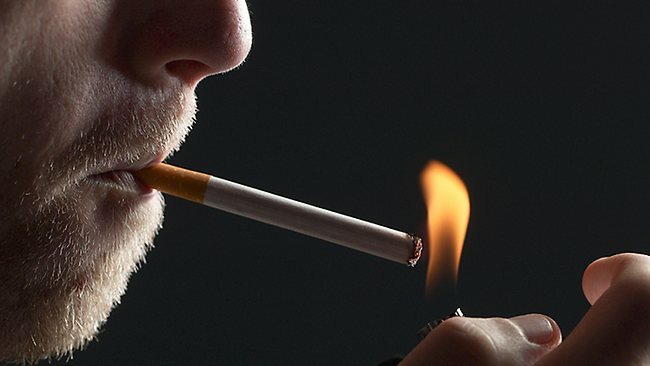 SINGAPORE – The Australian government should be lauded for mandating that cigarettes be sold in plain olive-coloured packaging printed with health warnings and big pictures of various diseased organs (“Australia’s ‘disgusting’ cigarette packs a big headache for vendors”; Monday). The brand names are relegated to a standard small print on the boxes and the billboard effects of the colourful and shiny boxes are gone. Will the Singapore Government be following suit? Currently, the duties on the sale of cigarettes are high, but not prohibitive. The pictures of the diseased organs on the boxes have been there for years and seem to have lost their effect. Smoking bans are not strictly nor effectively enforced as enforcement was and is expected to be difficult. Anti-smoking campaigns have not been too successful either. Health education seems to have fallen on deaf ears. This is reflected in the National Health Survey conducted by the Ministry of Health in 2010. It indicated an increase in the percentage of Singaporeans smoking cigarettes, with 14.3 per cent of adults being smokers in 2010 compared to 12.6 per cent in 2004 (“Smoking: Tougher measures needed” by Dr K. Thomas Abraham; last Saturday). Even more worrisome is the prevalence of smoking among young Singaporeans aged 18 to 29, which had jumped to 16.3 per cent, from 12.3 per cent in 2004. This represents a 33 per cent increase in just six years. The Government had successfully banned the sale of chewing gum in Singapore as the indiscriminate disposal of the gum made it a public nuisance. 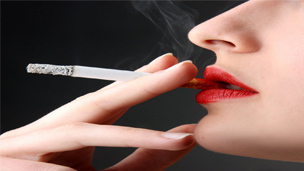 Smoking is a health hazard and is surely of greater concern. How about banning the sale of cigarettes altogether? It may seem draconian, but it will save a whole new generation from developing respiratory problems. A UK-wide consultation on government plans to introduce mandatory plain packaging for tobacco will close later. It was extended by a month to allow more people to respond after strong public interest in the issue. The proposal could mean information about individual brands being removed from cigarette packets, with just the name and warnings visible. Plain packaging is seen by campaigners as the next step in discouraging young people from taking up smoking. It could mean every sign of individual brands, from their logo, colour or typeface, being replaced by standard packaging simply carrying warnings and the name of the cigarettes. Packets are likely to be a dark olive green. When he launched the consultation four months ago, Health Secretary Andrew Lansley said he wanted tobacco companies to have “no business” in the UK. It comes after a ban on tobacco displays in large shops started earlier this year. Smaller shops will have to follow suit by 2015. Australia is currently the only country which has agreed to plain packaging, although the policy has been challenged in the courts by manufacturers. Research published there has suggested that cigarette packets have increasingly become an important marketing tool as restrictions on advertising and sponsorship have been brought in. Deborah Arnott, chief executive of campaign group Ash, said: “Plain, standardised packaging of its lethal products frightens Big Tobacco silly because it threatens its profits. But Simon Clark, director of Forest, a lobby group funded by the tobacco industry, said: “There is no evidence that standardised packaging will have any health benefits. The government said it would make a decision when the responses to the consultation had been considered. Once in the windpipe, the cigarette smoke temporarily slows your cilia, the tiny sweepers that work to clear your respiratory system of mucus and invading particles. Meanwhile, airborne nicotine passes instantly into your bloodstream through the millions of capillaries in your lungs. At the same time, carbon monoxide (a toxic component also found in car exhaust) from the smoke is starting to build up in your blood, limiting your body’s ability to transport oxygen to your vital organs. Via the blood-stream, nicotine hits your brain, where certain nerve cells respond by letting loose a torrent of the feel-good neurotransmitter dopamine.